Medical Malpractice Help » Medical Malpractice Causes » Legal Information » Why Do Attorneys Turn Down Medical Malpractice Cases? Attorneys sometimes decline medical malpractice cases because they do not think they are winnable or the cost of litigation is too high. Why Might an Attorney Turn Down a Medical Malpractice Case? When Is a Malpractice Case Not Winnable? Are There Other Reasons a Lawyer Could Decline a Case? For a Free Attorney Consultation, Call 1-855-MED-ASKS Today. If you have been a victim of medical malpractice, it can be frustrating to contact an attorney only to have them decline to take your case. Just because a lawyer turns down your medical malpractice claim does not mean you do not have a solid case or that you cannot win it with the help of another attorney. Attorneys turn down medical malpractice cases for all kinds of reasons, and not all of them relate to the quality or winnability of your case. For instance, an attorney with a heavy caseload might feel they cannot give your claim the attention it deserves. In that instance, the lawyer is doing you a favor, as you are now free to seek out another lawyer who will make your case a priority. For help determining if you have a case, contact the medical malpractice lawyers at Newsome Melton today. We offer free reviews to help new clients decide if they want to pursue legal action. Call 1-855-MED-ASKS today. If a lawyer does not think a case is winnable, they may turn it down. Because most malpractice lawyers work on a contingency basis—meaning they do not get paid unless they win—they are reluctant to take cases they feel do not feel they can easily win. Taking cases on contingency helps malpractice victims afford to hire legal help. Not only does litigating a losing case waste time, but attorneys pay a lot of costs with each claim. These upfront expenses can include filing fees, expert witness fees, and travel expenses. If the case leads to a settlement or judgment, the attorney can recoup these costs from the award. If the case loses, the lawyer never gets their money back. Lawyers are cautious about the cases they take. There are many reasons why a potential malpractice claim may not be viewed as winnable. Two common examples are discussed below. To win a medical malpractice case, a patient and their attorney must prove that the doctor or health care provider breached the standard of care. In other words, the doctor misdiagnosed a disease they should have gotten correct, made a mistake during surgery, failed to provide adequate follow-up care, or provided substandard care in some other way that led to the patient suffering damages. Not all bad outcomes are the result of substandard or inadequate care, however. Sometimes the doctor provides the best level of care possible, and a negative outcome still results. That is because medicine is a highly complex science that even the best physicians have not completely figured out. To prove a doctor breached the standard of care, your lawyer must show that a typical doctor with the same credentials in the same situation would have offered better treatment. If the attorney does not feel they can prove this, they might decline to take the case. Winning a medical malpractice claim also means establishing a causal link to the patient’s damages. If a doctor provided inadequate care, but there is no evidence linking it to an injury, the case is not winnable. Suppose, for instance, that a doctor failed to diagnose cancer. By the time another doctor discovered the tumor, it was inoperable. In many cases, this would be grounds for a malpractice lawsuit. However, if medical evidence shows the cancer would have been inoperable even if the doctor discovered it immediately, establishing causation could be a challenge. A lawyer might turn down a case if they believe the damages do not exceed the litigation costs. For example, if a claimant in a comparative negligence state has $50,000 in damages but was 90 percent at fault, they can only recover only 10 percent of their losses, or $5,000. Many attorneys would decline this case knowing it would cost them more to litigate it than they could earn in contingency fees. 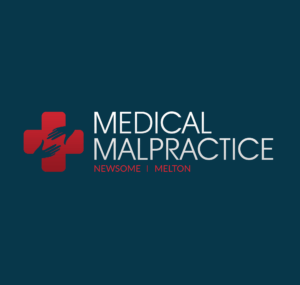 If you have a medical malpractice case, the attorneys at Newsome Melton can offer straightforward answers and advice. We will review your case for free and let you know if you stand a good chance of winning. To schedule an appointment, call 1-855-MED-ASKS.